Affiliate marketing is a fast-paced field that is continuously evolving, and one of the greatest challenges in our industry is sustaining long-term growth in an ever-changing space. Mastering diversification is key to creating a business that will grow and flourish for years to come. As an Affiliate Manager, I see the importance of diversification every day. Imagine focusing the majority of your time and money into one offer; you’ve finally scaled up and are making a ton of money, then all of a sudden the advertiser has to pause. Money stops flowing in and your entire business plan would be shaken. Fortunately, there are ways to prevent this from ever happening. In the ten-plus years Clickbooth has been around, we’ve worked top affiliates and advertisers who have achieved long-term success in this industry; we understand what it takes to evolve with the ebbs and flows of affiliate marketing while continuing to prosper and grow. Time and time again we see that the secret to success of the biggest players in the industry is diversification. Diversification will enable your business to maintain a competitive advantage; use these proven tactics to ensure long-term growth and stability in affiliate marketing. o Testing multiple verticals: You should always be running or testing multiple verticals at one time. When deciding what new vertical to delve into, keep in mind that consumer trends fluctuate throughout the year and you want to have knowledge on how to profit in a given vertical before prime season for that vertical arrives. Remember that to be successful in testing you must be patient and committed to constantly improving. Before you test, familiarize yourself with all the pocket niches of traffic. The key is to always be testing — never limit yourself to one vertical. 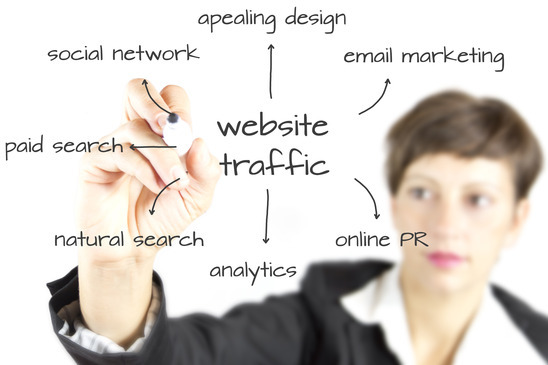 o Multiple traffic sources: As the saying goes, don’t keep all of your eggs in one basket. Always test on multiple traffic sources, and actively do research for new sources to check out. Your goal is to keep a “waterfall effect” going – once you master a specific offer on one source, you should have traffic ready on the next source so you can easily continue to replicate your success. Talk to your affiliate manager and ask your friends for advice on what traffic sources are looking hot and what is working best for them. o Multiple countries: In addition to traffic sources it is also important to be testing in multiple regions. Make sure you are up to date with all guidelines and regulations for each country. When choosing what regions to test in, first do research to make sure you can get quality traffic at low bids and high volume (so there is scaling potential). If it’s a non-English region, make sure you have a solid translation service for your ad and lander. Your AMs will be able to advise you on the top offers for each country, and keep in mind that while generally you can replicate success across regions, each country is unique, so be sure to keep an open mind when testing. o Research: In order to stay ahead of the competition you want to set yourself apart. Always do your research and know what is going on out in the space. You want to know what, where, and how your competitors are running. There are numerous resources for staying up-to-date on the industry landscape, from sites like AdBeat to your AMs to good old fashioned web-browsing. Utilize your research and don’t be afraid to go a step further. Be innovative to stay ahead of your competitors. o Resources: You will find the most success when you are working with your affiliate managers. Don’t ignore this valuable resource. AMs have a birds-eye-view of the industry and can provide knowledge to help you stay ahead of the game. The best affiliate marketers think of the big picture – How can I get ahead and stay ahead? Achieving a greater understanding of the market through diversification will help you get there. In the end, you will gain many benefits of long-term sustainability by making the time to diversify. Overall, you will have a better understanding of consumer behavior and what variables lead to improved performance, no matter what or where you are testing. Always be ready to change your strategy since what works one day may not work the next. If you enable your business with these tools you will find long-term success in affiliate marketing. Jennifer Caputo was born and raised in Darien, Connecticut — she graduated from University of Tampa with a Bachelors degrees in Marketing. As a member of the CB Publishing team, Jennifer specializes in a wide variety of media including mediabuy traffic. In her free time she enjoys going out on her boat, spending time with family and friends, wine, and traveling.